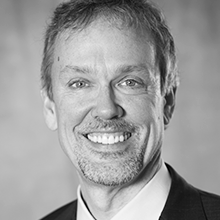 Dr. Dave Fabry is Vice President of Global Medical Affairs for GN Hearing/ReSound. He received his Ph.D. from the University of Minnesota in Hearing Science, and subsequently served in Research Audiology for Walter Reed Army Medical Center (1988-1990). He was also a consultant in Audiology and Associate Professor at theMayo Clinic (1990-2002), serving as Chief of Audiology from 1994-2002. He also served as Chief of Audiology at the University of Miami Medical Center (2007-2009). Prior to joining GN, Fabry was Vice President of Audiology and Professional Relations for Phonak (2002-2007) and Starkey Hearing Technologies (2009-2016). He is a Past President of the American Academy of Audiology (2001) and serves as Editor-in-Chief of Audiology Today.